Today, Netherlands Prime Minister, Mark Rutte, stopped by the Lab. 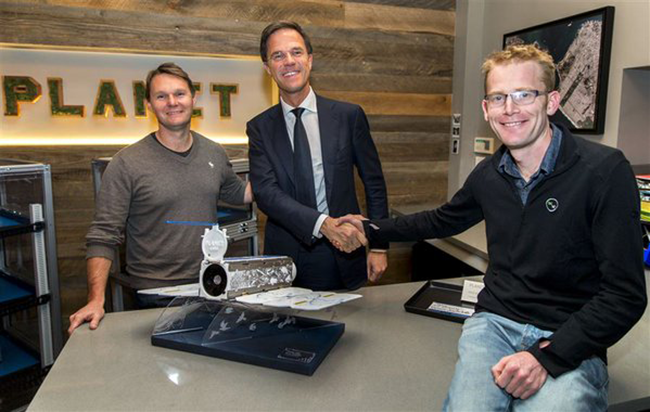 I speak for myself and everyone at Planet Labs when I say that we are honored to welcome Prime Minister Rutte to our San Francisco office. He joined us today as part of a larger tour of innovative technology companies in the Bay Area. During the visit, my Co-founder, Will Marshall, and I led Prime Minister Rutte on a tour of our office and our mass satellite manufacturing facility; described our development model called agile aerospace; and sat down for a meeting to discuss the growing startup ecosystem in the Netherlands. Robbie Schingler, Prime Minister Mark Rutte, Will Marshall. Photo courtesy of the office of Prime Minister Mark Rutte. This visit marks the start to a very exciting time for Planet Labs. Hot off the heels of our acquisition of Blackbridge (with offices in Berlin, Germany and Lethbridge, Canada), we’re excited to announce that in 2016 we will open up a new office in the Netherlands. The Netherlands is an excellent gateway to the European space community and startup ecosystem. 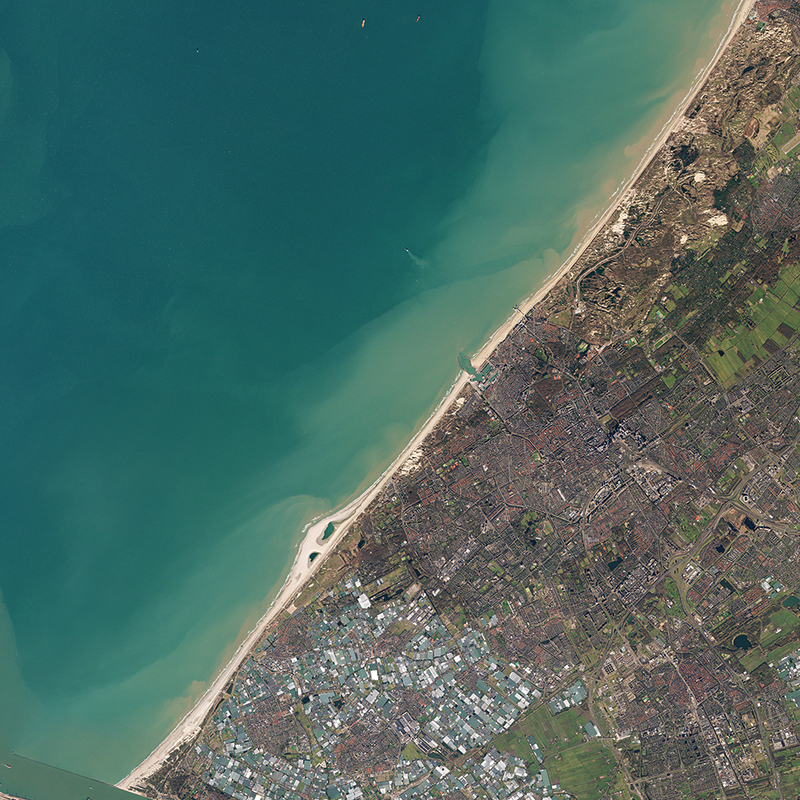 Planet has a longstanding partnership with Delft-based nanosatellite company, Innovation Solutions in Space, and ESA’s ESTEC, Europe’s leading space research and technology center based in the Noordwijk. Additionally, the Netherlands has been attracting global technology companies and over the last couple of months we’ve built a strong relationship with StartupDelta that’s connecting us to a network of researchers and developers who are building cutting-edge geospatial software products in Europe. This is an important year for Planet Labs. Our constellation of on-orbit satellites is rapidly growing and our data platform is hosting more and more of the world’s innovators, who are building applications with Planet’s real-time dataset. Expanding our global presence and developing stronger relationships with governments and innovative companies is an early step in a world-wide movement to understand global change.